We are entering the Fall season filled with spiritual experience. Living in and around the city of Boulder can be an exciting experience where religious options abound in the Boulder Jewish world. So many people in Boulder are serviced by so many different Jewish perspectives. What if you live outside the city of Boulder in the growing eastern Boulder County? What if you are a seeker, looking to experience Jewing in a way that is meaningful to you? We begin our celebration of Shabbat with blessings. This is the blessing for Shabbat that we say during the Kiddush. I have never been satisfied with the traditional translations. I have, therefore created my own translation as we must in every generation. Translations must reflect our times and our growing awareness of our surroundings and our inner challenges. We learn in translation and the exercise in and of itself is a blessing. We celebrate You, Oh Source of Being, Eternal Council, our G.
In Your aspiration for us, You have blessed us with a unique path of Sacred Connections. You have given us Holy Shabbos in love and longing as an inheritance. It is the time for remembering the works of creation. a reminder of our emergence from narrow paths. You have tested us and made us different from others. You handed down to us Your unique Shabbos in love and longing. You have bathed Shabbos in holiness. Differences do not imply superiority nor inferiority. Differences are to be explored and celebrated. When we learn about our differences we grow in translation. Humanity is not a melting pot, it is a stew, flavored with differences, all of which contribute to the taste. Immersiful is a word that I made up to express, not only our desire to be immersed in G, but a recognition that the G field is always available for our immersion through Mitzvot, prayer, meditation and acts of loving kindness to humanity and all creation. Shabbat Hazon is the Shabbat of ‘Word/things and visions/divisions.’ I take the name from the title of the Torah portion, D’varim and the Haftarah, Hazon. In the Torah Moshe uses words to remind us of what was. In the Haftarah Yishiyahu paints a vision with words of what will be. It is a fitting theme for the Shabbat before Tisha B’Av. This year Tisha B’Av falls Motzei Shabbat (Saturday night) and Shabbat Hazon is tonight. Tisha B’Av is the time when we look at all the troubles and travails of our times and our times of yore. We weep for the loss of the 2 Temples and for countless millions murdered in pogroms, inquisitions and holocausts. It is the low point of loss for the Jewish people. We close our eyes and see the visions of destruction and despoliation. We speak the words of woe. And yet we do not curse our enemies, we do not rant for revenge. Instead we look within. In D’varim, the passage called ‘Word/things’, Moshe is preparing us for the next chapter in our evolution revolution. He prepares us by reviewing. We re-view, we look back again. We study our history in the spiritual hope that when we retrace our mis-steps we will not mis-step again. But Moshe does more than restate. He hints at our root sin of complacency, where we assimilate, where ritual becomes meaningless. In D’varim 4:25 Moshe warns of turning formed things into gods. Woe unto us lest we turn to expensive cars and clothes and neglect the needy. For when our own ‘things’ become more important than our fellow earthlings, we become idol worshippers, worshippers of ‘I-dolls”. There it is in that one sentence, the Remez, the Key/clue to our self-destruction as a people, indeed all people. The prophecy of destruction has been out there for a long time. Whether we are abusing our planet or our civil rights, we are turning to false gods. When we threaten others for not accepting our religious beliefs or our political beliefs, we have turned to false gods. But, where our Torah portion points with one verse, our Haftarah hammers us with the hard lessons. Paying lip service to our ideals but not paying living service to them is the accusation. Talking our walk but not walking our talk is the accusation in Yishiyahu 1:1-27. That we parade out our rituals with pomp and hypocrisy is the accusation. For what do we need sacred places if we do not make them of our homes and hearts? I go to the church, I go to the synagogue, I go to the mosque, I go to the temple yet I ravage my neighbors’ rights, I belittle his beliefs, I fight his faith. Yishiyahu cries out to us: “Your hands are covered in blood!” To whom does the prophet speak, but to us all. Islamic fundamentalist terror, American callousness, Jewish insensitivity, Christian self-righteousness, is there a people who is blameless? Our world is the Temple to which Yishiyahu and Moshe refer and its destruction is upon us. These word/things carry power. These visions of division point to our self-destruction. My Rebbe once told me that he thought that when we entered outer-space and looked back on earth all war would end for we would see the oneness of our planet. Moshe tried to direct us to look back to see the oneness of our spirit. We all have a vision of what might be. That vision is a di-vision, two visions. One vision is of the world that could be if we were to work for oneness and one if we continue to look upon divisions with derision. 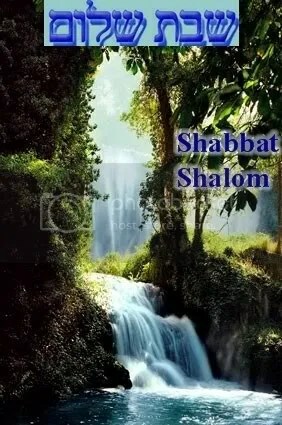 The Shabbat after Tisha B’Av is called Shabbat Nahamu, the Shabbat of comfort. We have had the Shabbat of the two visions, the di-vision. Then comes the warning of Tisha B’Av the re-view of the sad state to which this world has been brought. And finally we enter with great need the Shabbat of comfort, a Shabbat that challenges us for comfort requires us to ‘come-forth’. For that is the only answer. We need to come forth. We need to come to the fore with answers that build, with answers that accept, nay revel in the differences that make us one. I have heard this country called a melting pot. What a ghastly metaphor. One pours different materials into a melting pot, melt them down and those that remain different are called slag and discarded. No, dear friends we are not a melting pot G forbid. We need to become a stew. In a stew each ingredient adds to the whole, each ingredient has its own unique taste and contributes to the stew in its own way. And let this not be the metaphor for a country, a religion, a race. Let it be the calling card of our planet. We are a stew simmering with differences that make us one. We each add to the flavor of whole, we do not detract, deride nor destroy. Rather we bring to this world a “ray’ach Nicho’ah” a pleasant aroma of a world self-sustainable a world blessed with peace. May that be the lesson Shabbat Hazon, the Shabbat of vision of the past and of a brighter future. A couple approached me to perform their marriage ceremony. When we interviewed each other, they told me that they did not want a ‘religious’ ceremony. “Then why come to a Rabbi,” I asked. “Because our parents want a Rabbi to do the ceremony,” they replied. Well, it is nice that we do things for our parents. I agreed to marry them but I did not agree to a secular ceremony . We began our meetings. Every time different spiritual aspects of Judaism were brought up, they were met with displeasure. They just were not interested. One day I decided to come at the challenge from a different angle and that, dear friends is the story I wish to share. They both worked very hard. I suggested that they find a time to be together without the baggage of the workweek. They agreed that such an idea was important and I went on. “This should be a space without time,” I suggested. “Watches and clocks become unimportant in this space. Imagine a whole day where you concentrate on each other, not on the telephone or email or business of any kind, which includes worrying about the bills, or who said what at work. This is a time for the two of you!” They were warming to the idea. Next I suggested that they should start this 24-hour weekly vacation, not in the morning, but at night. In this way they could divest themselves of the workaday and invest in the holiday before going to bed. They agreed that this idea made sense. I then recommended that this space without time should have the theme of romance. They really liked that concept. “So let’s discuss what makes the beginning of this space romantic. Mood is important.” I suggested. The woman came up with the idea of candles as a ‘mood-modifier’. “What a good idea,” I agreed. “And what about a ‘mood-enhancer’ after a long week of work and separation? How about a little wine? This too was met with enthusiasm.”Great, we have candles to soften the edges of a hard week and wine to enhance the mood. Now, how about something simple to eat, to begin your romantic meal.” I proposed that they buy what is often called ‘egg bread’ from a bakery and just before the meal, heat it up in the oven. The aroma would be heartening and the warm soft bread would make a sweet beginning to the romantic time together. I pushed the idea that this was a romantic getaway from time by putting forth the idea that they should, in the morning read to each other and take a walk together and maybe even a picnic. Their enthusiasm was growing. “But how do we end this wonderful romantic day,” I asked. I answered my own question with the idea of creating memory pegs so that they could carry a sense of the romantic space into the next week. “First, light a candle together as the stars twinkle. Then drink a little wine together, maybe even from the same cup. Next, find some sweet smelling spices. After all our olfactory system is deeply connected to memory. Lastly, put the candle out in the wine. With no lights on, the room will be plunged into darkness as the candle sizzles out in the wine. The taste of the wine, the smell of the spices and even the light of the candle will linger in your minds.” They were quite taken with the idea, so much so that they began that week. Of course I suggested that they try to do it on Friday night, the traditional end of the workweek in Judaism. And during the next several months, they perfected their romantic ritual. They even began to invite some friends over to share in the romantic dinner ritual on Friday night. All was going well until they invited another Jewish couple over who asked why they did not say the Shabbos blessings as they began their Shabbos rituals. They were flabbergasted and even a tad miffed with me. When they came for their next session they said: “You tricked us!” Then they explained how their other Jewish friends blew the scam. I asked them if, up to that point, they had enjoyed and found a beauty in the idea of celebrating a romantic time called Shabbos. They admitted that they had. “What is in a name…,” I quoted. Then I urged them to continue, saying that I might be able to help them enjoy it even more. I asked for their patience and began to teach them the blessings for the rituals that they were doing. I explained that the blessing said for lighting candles was a statement of awe for the sacred connection of light. The blessings for wine and Hallah (egg bread) were statements of awareness that these items come from the earth not simply from the supermarket; that we are connected to the earth from which comes the food we eat and the wine we drink. Then I went one step further. When we become aware, when we bring awe into our relationship with each other, we are elevating our relationship by acknowledging that we have another relationship of importance. Some call it ‘G’; some call it a ‘greater power’. I call it, ‘The Wholly One of Being’ (pun intended). A few weeks later, the couple celebrated their wedding embraced in a religious ceremony. Though over the years I have lost touch with this couple, I like to think that they have continued to celebrate Shabbos and that they have expanded on their romantic adventure into a realm of spirituality. Shabbos is for everyone and we all need a Shabbos.